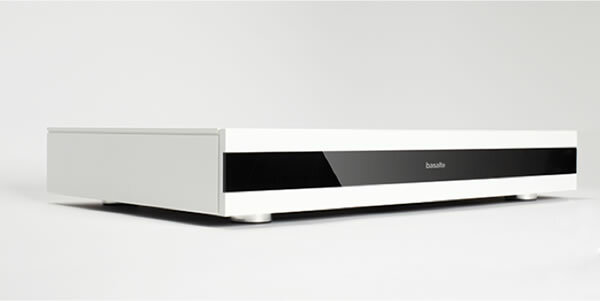 Basalte develops and markets design switches and unique room control solutions based on advanced touch technology. The company is now extending its product range with Asano: an advanced KNX multi-room audio system that fills every room with crystal clear music. Asano is a networked multi-room audio system that allows you to freely locate your sources and amplifiers anywhere in the building. Asano carries its ultra clear sound from any source to any room through audio via Ethernet. Asano leads the music for each zone in the building of a digitally transparent and uncompressed manner. To deliver superior audio performance, Asano is powered with Bang & Olufsen ICEpower Class D amplifiers. With internal advanced DSP control, Asano offers the opportunity to fine tune the sound in every room. Asano integrates neatly with KNX systems, without any interface. This allows control of the system with all KNX commands, such as the touch key Sentido or room controller Deseo. Asano is composed of different devices that can be programmed directly into the KNX software ETS. High fidelity audio KNX – Finally in one system!